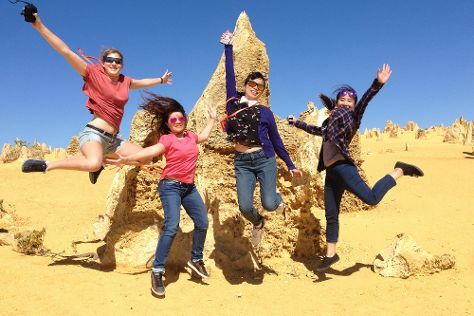 Get out of town with these interesting Perth side-trips: Fremantle (The Shipwreck Galleries, Esplanade Park, & more), Helicopter Tours (in Jandakot) and Mandurah (Dolphin Quay & Dolphin & Whale Watching). On the 1st (Sun), spend an enriching day with Explore Tours Perth. Spend the 20th (Fri) exploring nature at John Forrest National Park. There's much more to do: stroll around Kings Park & Botanic Garden, kick back and relax at Cottesloe Beach, savor the flavors at Food & Drink, and look for all kinds of wild species at Caversham Wildlife Park. For more things to do, maps, and other tourist information, you can read our Perth day trip tool . In September in Perth, expect temperatures between 24°C during the day and 9°C at night. Wrap up your sightseeing on the 30th (Mon) to allow time to travel back home.